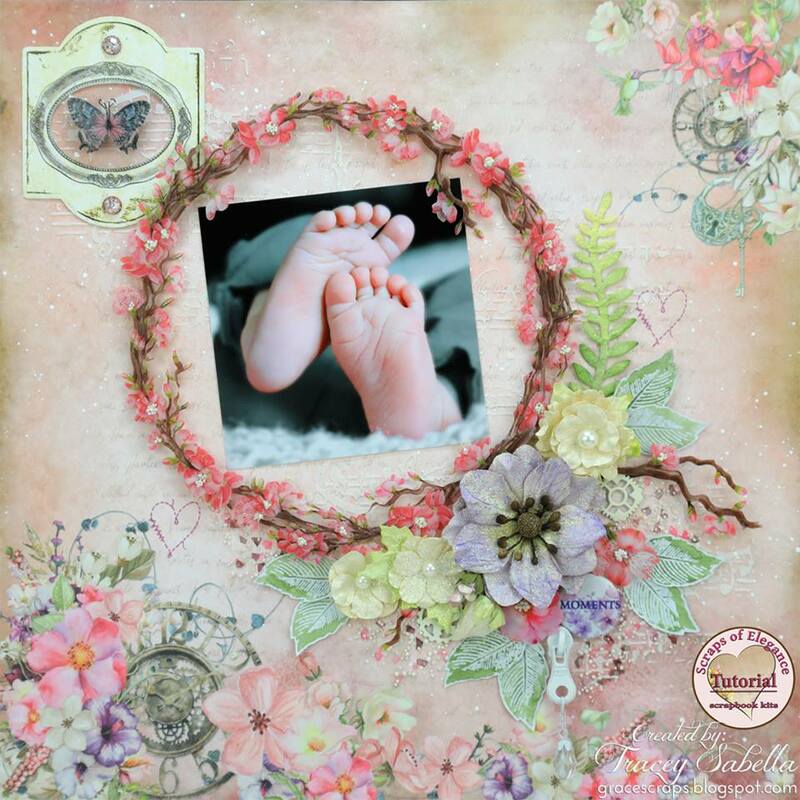 Scraps of Darkness and Scraps of Elegance: Shabby Chic Layout Tutorial: Baby Feet! Hi everyone! 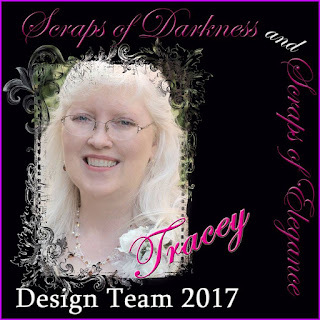 It's Tracey back with my second project from the gorgeousApril Scraps of Elegance "A Song Of Spring" Kit. I took this sweet photo of our little granddaughter's feet when she was a week old. I did a little Photoshop work by converting the photo to black and white emphasizing these darling feet by leaving them in color. 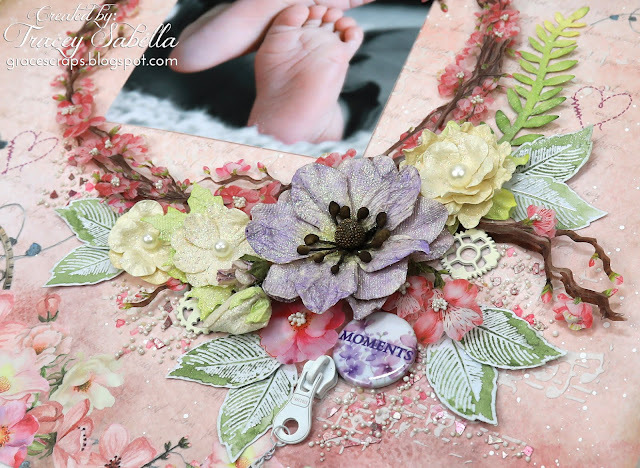 The gorgeous paper and elements in the April kit couldn't be more perfect to create a shabby mixed media layout for this precious photo. I have created a process video tutorial to share with you. 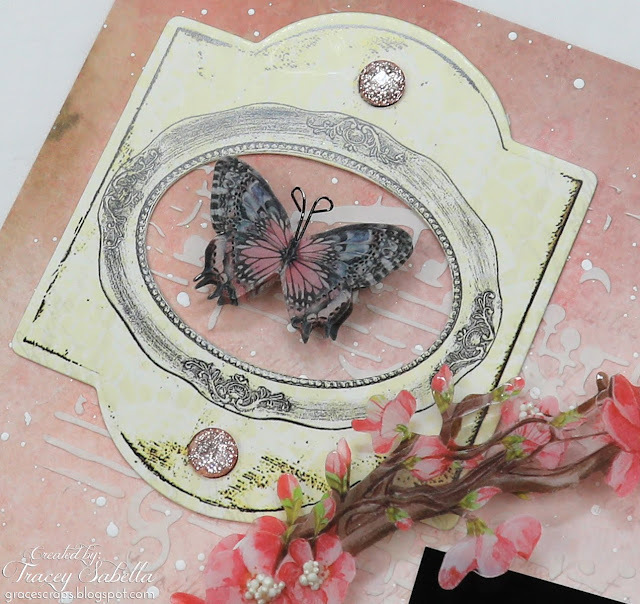 I just adore including a handcrafted touch on my pages, so used the leaf image from the 49 and Market Gabi's 49 Texture Stamp Set from the Scraps of Darkenss Store along with the Sage Spectrum Noir Sparkle Marker from the Creativity Add On to create watercolor leaves to tuck into my flower cluster. All the details are in the video. 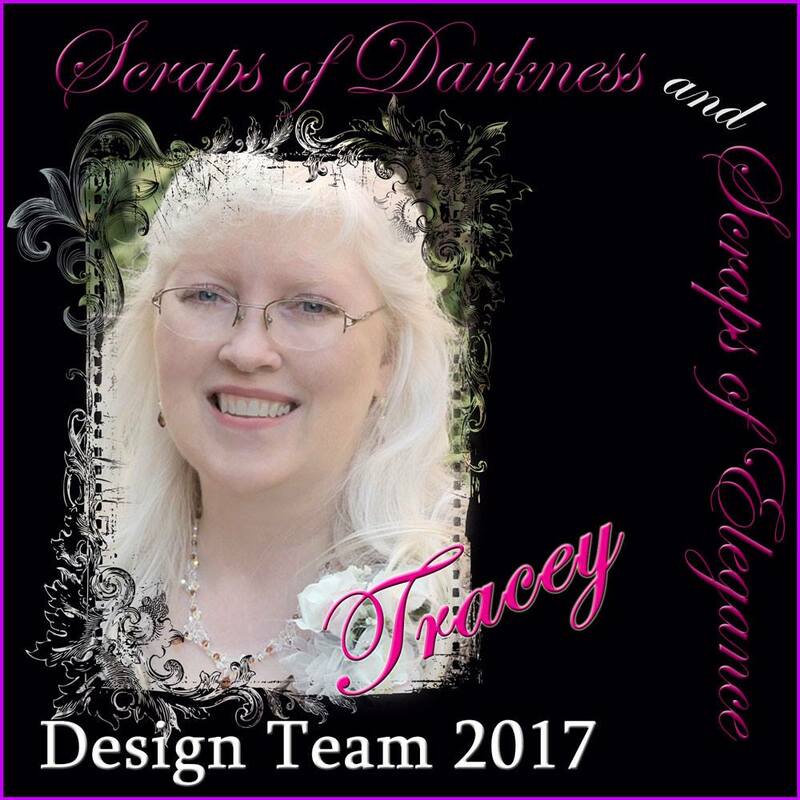 Be sure to stop by the store to find kits, add ons, and paper crafting supplies HERE. Gorgeous page! @ I love the flower lei around the photo! Thanks for the video tutorial, and a list of the supplies you used!